Can I pick my order up in store? Can I return an item that I've used? Yes, there is an option in the checkout to pick up your order in our store, free of charge, located at 115 E Mountain Ave Fort Collins, Colorado. Unfortunately we do not accept merchandise that is not in new, and unused condition. Yes, once your order is shipped you will recieve an email with an order confirmation as well as a USPS tracking number. With this number you will be able to track your package through the USPS website. We currently can only ship orders within the United States. • All purchases made online are eligible for full refund, store credit or exchange after 14 days from the date the package is recieved. • Returns must be in original condition at the time of return. 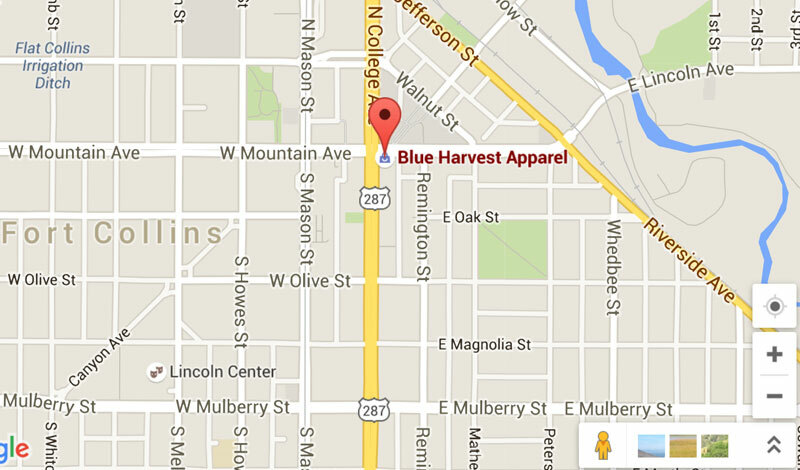 • Blue Harvest Apparel cannot accept responsibility for lost packages without proof of delivery. We guarantee your order will be processed and sent out within three days of receipt of payment. We strive for all orders to be shipped the same day they are placed.